How can I approach dedolomitization (calcination ) using equation CaSO4 + CaMg (CO3)2) =>2CaCO3 + MgSO4 ? You might want to use React to simulate the dedolomitization process. There's a very similar example in section 19.4 Dolomitization of a limestone in Craig Bethke's Geochemical and Biogeochemical Reaction Modeling text. In your case, you'd react a Ca-SO4 water into a section of porous medium initially containing the dolomite and its pore fluid. The flush configuration is used in this example to follow the reference frame of the porous media as water flows in, mixes and reacts, and is displaced. is there any other publication (papers) related to dolomitization using GWB? You're welcome. We don't keep track of all the publications using the GWB, but you'll probably find something with a Google Scholar search of GWB. You might also find some helpful tips in the GWB Reaction Modeling Guide, which can be accessed from the Help menu of any app. 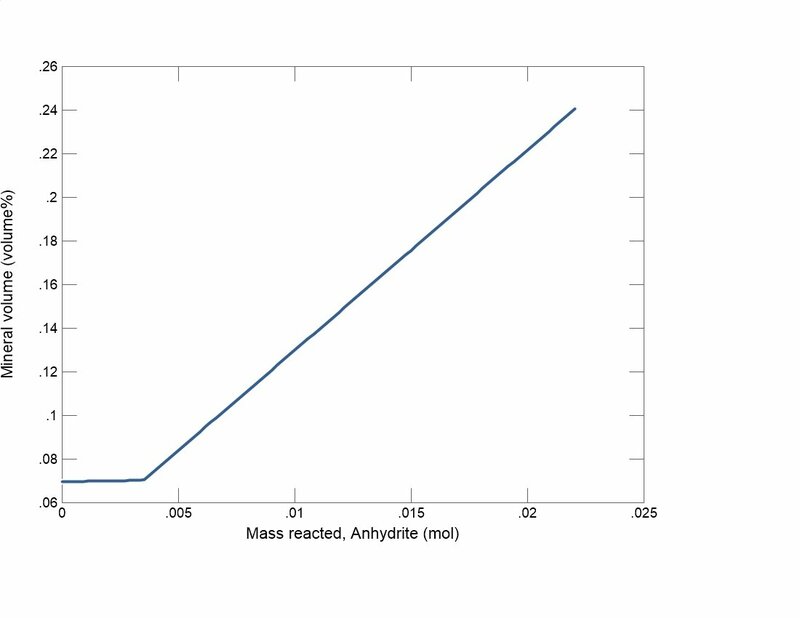 Section 3.3 Flush model and 3.9 Pickup up the results of a run (specifically to pick up an equilibrated fluid to use as a reactant) should be useful.